A failure report of non-farm on the 2 of September became a driver for the Russian stock market and the reason of falling of the American currency. However, the U.S. dollar played its values fairly quickly, but scalpers could make good money. News trading is an individual strategy that is not recommended for beginners. A prop company in their circumstances clearly limit the opportunity to trade in the range of 5 minutes before the news and after. In the description of many strategies it is not recommended to trade in the range of 30 minutes. Although the most money is earned by scalpers in the first 5 minutes of the news, some fundamental information may be “echoes” from 30 minutes to several days. The main danger of news trading — market volatility and slippage of orders. However, professionals are not scary. 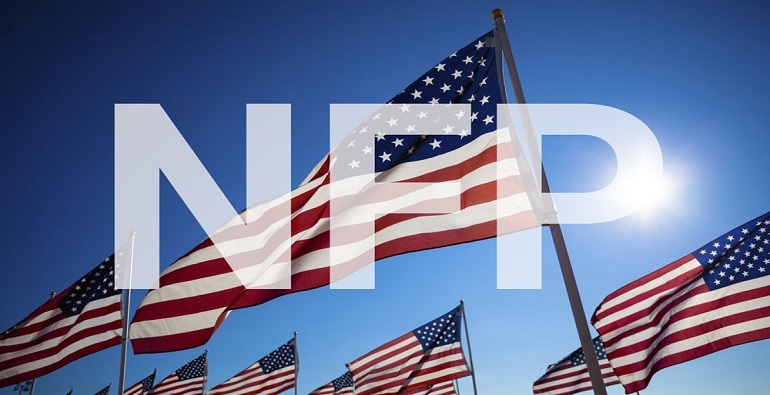 Report of non-farm payrolls (NFP) is one of the most expected reports in the U.S., the employment rate in the country. The report shows how many new jobs were created during the reporting period, in sectors not related to agriculture. On the importance of the indicator, which is published on the first Friday of each month, second only GDP, what explains the high volatility at the release time of the statistics and the popularity of the non-farm trade. Below is the screenshot of the economic calendar where you can see the data of last month and the forecast for the end of September. In the calendar you can check not only forecast, but also the importance of the event with the date of its release. Presented below is another screen, which visually can be seen in the first few minutes the market reacts to the release of the report. In just 4 minutes, the Euro rose against the dollar by 50 points! But a few minutes later, the bids returned almost to the previous level. The reason is simple enough: first investors themselves can’t perform the consequences, because the report is in conjunction with other fundamental statistical data. Secondly, triggered speculative. Nevertheless, it is also possible to earn! Below is a graph of the reaction of the Russian stock market immediately after news. the actual value that will be known only after the news release. In September it was «151K». In other words, analysts had expected that at the end of September that the number of employed in non-agricultural sector would increase by 180 thousand people (a conservative estimate in comparison with August). However, the pessimism of investors is not only justified, but was undervalued: if July 275 thousand of new jobs were created in August — only 151 thousand. If the actual value is reflected in red, it means that the fact that turned out to be even worse in accordance with the forecast. If green, the value is better. In September, as the figure shows, the parameter value showed the good trend in the labor market, which led to the depreciation of the U.S. currency. Why the non-farm trade could bring profit in this case? A failure report on the labor market shows that the economy is not showing the expected growth, so the issue of raising interest rates of the fed is on hold. The rate hike affects its strengthening and on the contrary, a rate cut or dovish the fed’s policy weakens. To sum up. Non-farm trade is possible only 1 time per month, but there are other economic news that lead to exchange rate fluctuations at 0.5-0.8% in the first minute. How to understand what will be the actual data? Only by analyzing related metrics. For non-farm level of unemployment and employment data in agriculture (although this is a seasonal factor).